Two of our students are leading a special educational tour to five cities in the United States in January and February 2018. 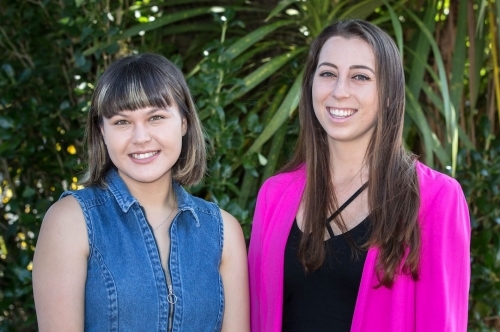 Victoria Brownlee and Penelope Jones, both 22, have just finished their fifth year of their Bachelor of Arts/Bachelor of Laws (Honours) conjoint degrees, majoring in Politics and International Relations. Earlier this year they were chosen as the two Co-Directors of the US Leadership Tour 2018. This is an annual, month-long trip facilitated by UN Youth — an educational charity that teaches young New Zealanders about foreign affairs outside the traditional classroom context. The tour will enable 16 university students, including nine from the University of Auckland, to represent New Zealand at the Harvard National Model United Nations conference in Boston, and travel to other US cities for diplomatic meetings. "The conference simulates the activities of the UN, bringing together 3000 students from around the world to deal with global issues," says Victoria. "Delegates represent a country, non-governmental organisations or members of the press corps in committee sessions." "The tour is an opportunity for New Zealand tertiary students to meet the biggest players in foreign affairs and learn about issues such as indigenous rights, climate change, trade, development and diplomacy," says Penelope. They have planned every aspect of the tour, which leaves New Zealand on Sunday 21 January. The first stop is San Francisco, where they will visit Silicon Valley and meet with organisations such as Google and Facebook, as well as new tech start-ups like Uber. "We then go to Washington DC and have meetings with USAID, the World Bank and State Department officials." In New York they will visit the UN Headquarters, the Federal Reserve Bank and the New Zealand Permanent Mission to the UN. The New Zealand delegation includes students who are studying a range of subjects from Politics and International Relations to Science, Law and Commerce. Victoria and Penelope will be joined by fellow Arts students Te Wai Coulston (Ngāi Tahu, Ngāti Kahungunu, Ngāti Porou) and Vrisha Chandra. Te Wai is studying for a Bachelor of Arts/Bachelor of Commerce conjoint, and Vrisha is studying for a Bachelor of Arts/Bachelor of Laws. "We all share a passion for foreign affairs." Penelope and Victoria are currently undertaking a sponsorship campaign to cover the costs of the trip, which are $7500 per delegate and $1650 per co-director. They would love to hear from individuals or organisations interested in supporting the US Leadership Tour and can be reached through usleadershiptour@unyouth.org.nz.